The Western Digital Black 3D NVMe SSD is as fast as Samsung's 960 Pro, but it costs a lot less. In fact, it's only slightly more expensive than entry-level drives. It's the drive that smart buyers should go for. The WD Black NVMe SSD is the first real threat to Samsung’s solid-state storage supremacy as the fastest writing drive we’ve ever tested. WD/SanDisk makes this even more attractive with a 5-year limited warranty and, to top it all off, they made sure they undercut the Samsung 960 Pro NVMe SSD, the only SSD that provides any real competition for the speed and quality that these SSDs exhibit. They never undercut that price by a few bucks , but rather, we are seeing MSRP for the 500GB version almost $100 cheaper than the Samsung, and the 1TB version just under $200 cheaper. Those are some dynamite price points. The only thing more we might have asked for would be a 2TB capacity as well. At $419.99, this is an item aimed towards those who work on say 4K video editing, which we saw a little bit of a boost with, or enthusiasts looking for the best thing available. For gamers, it’s going to be difficult to justify spending virtually double the amount when comparing SSDs, especially when you get anywhere between 3% and 23% performance increase. Still, if you don’t have a dedicated SSD for games yet, you certainly need one. Overall the new drives are a step forward for WD/SanDisk end-user SSDs. While the drives can't reach the top-tier performance profiles of their competitors, they are suitable for mainstream use cases when the value/performance ratio leans more to the value side of the spectrum. WD/SanDisk worked hard on this product and it clearly shows. Worthy of our highest award as they are selling it at a very competitive price given its outstanding performance. 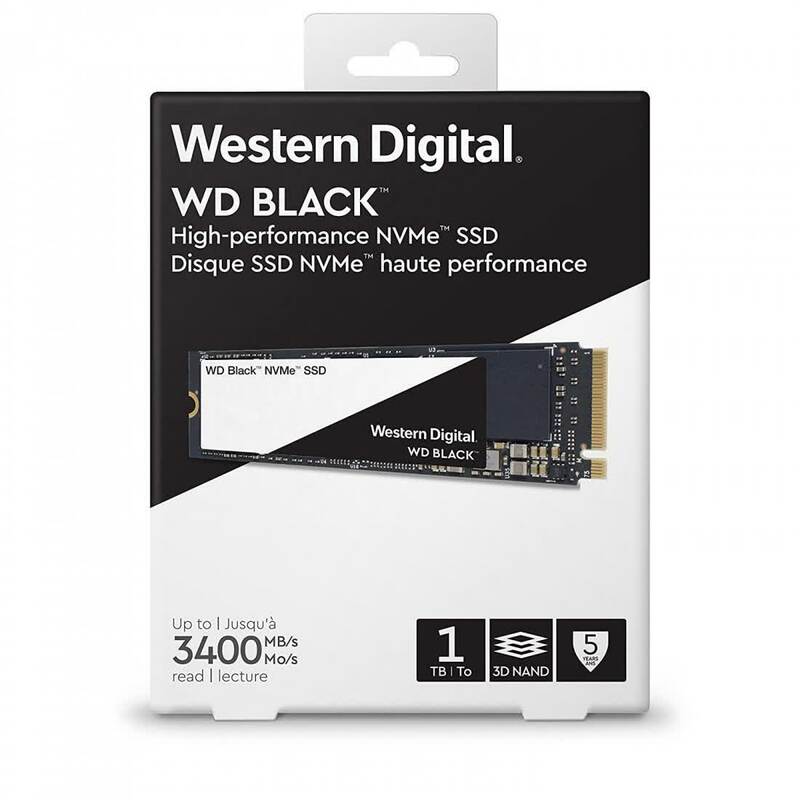 The Western Digital WD Black NVMe 1TB SSD is one of the best performing drives that we have ever tested and it just goes to show how far TLC NAND has come in recent years. Western Digital's long years working to develop 3D NAND and their new NVMe controller have paid off. They're once again a credible contender in the high end space, and their latest SATA SSDs are doing pretty well, too. This year's SSD market now has serious competition in almost every price bracket. The WD Black PCIe SSD is an M.2 NVMe drive that lacks both performance and competitive pricing in a highly competitive market.